Stocks, bonds, dividends, yields; if any of those words sound like gibberish then it’s likely you’re not a stock market investor. When it comes to investing, people are more likely to think about the stock market, or maybe even a retirement fund than actual valuables. If you’re a collector you probably know that some collectibles are worth a lot of money, so if you are an investor, you are just a unique investor. If you were around for the beanie baby craze of the 1990s you’ll know that some collectibles could earn you a fortune, especially those that are rare items no longer available today. Soda companies frequently test new sodas and sometimes they’ll last a few months while others become permanent supermarket shelf fixtures. Those sodas that don’t last might go on to be black market goodies with buyers willing to pay big bucks for them. On eBay a bidder got their Vault fix by shelling out $145 for two 12-packs of the soda. Crystal Pepsi which was only available from 1992-1993 can be yours for as low as $125 for one bottle. Sports memorabilia is usually a solid investment if you’re willing to keep the items in good condition. As with most collectibles, the older the items the better return on investment you could receive. Babe Ruth’s 1914 baseball card is said to be worth over $500,000. Another card for Honus Wagner is known as the “holy grail” to baseball card collectors; it was sold for $1.2 million in spring 2012. Movie and concert posters reflect a memorable moment in time that could be worth a lot of money. Again, the older the poster and better the quality the more likely you are to receive a lot of money for it. If the poster is autographed or one of 100 that were printed then you might also be looking at a big payday. Original movie posters can be sold for over $10,000 in some cases. Toys are another popular item to collect, you’ve probably heard about Barbie dolls worth thousands of dollars and the beanie baby craze was short-lived but still profitable for many. Toys can be difficult to collect though as usually they are worth more money in mint condition and in their box. Rare toys can also bring in a lot of money, there is even an entire TV show dedicated to this unusual kind of investment. 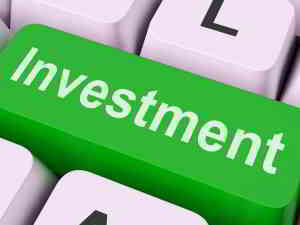 A good investment can extend beyond the norm of the stock market. Many of these valuables are often found at garage sales, thrift stores, a relative’s attic, or in your own home. If you think you have a collectable item, look it up and see what kind of money you could get for it. These rare gems could be enough to cover some of your debt or unforeseen expenses like medical bills or car repairs. Not everyone is lucky enough to find a collectible worth a lot of money; AmOne can help you get the financing you need! Whether you’re looking for a debt consolidation loan, personal loan, or business loans, get matched with the right lender for your situation. Contact AmOne today to speak with our trained Money Coaches.